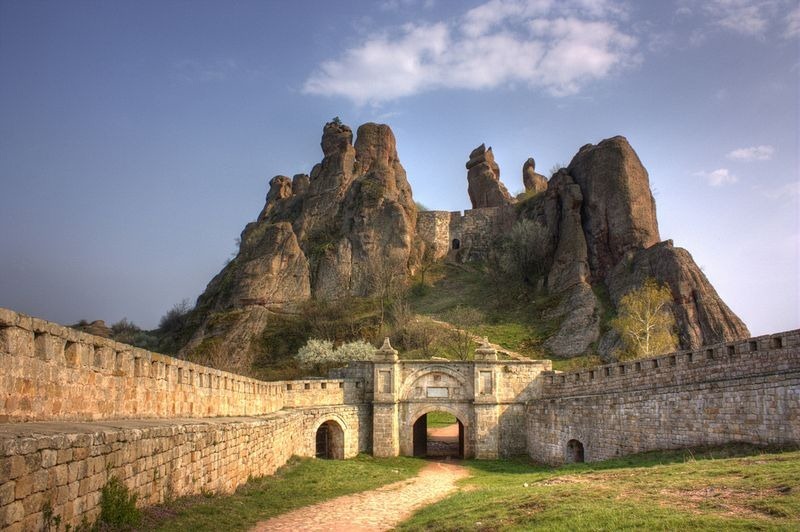 Located on the north slopes of the Balkan Mountains, close to the northwestern Bulgarian town of Belogradchik, is the Belogradchik Fortress, also known as Kaleto Fortress. 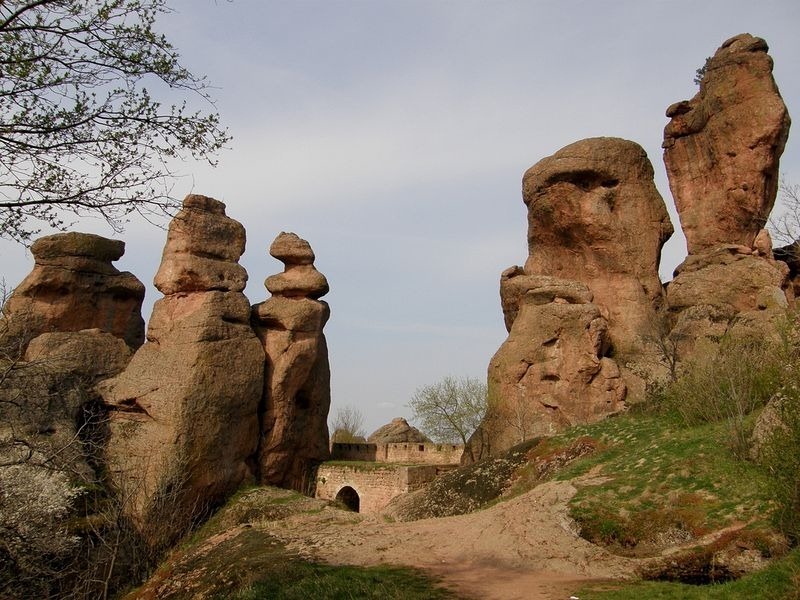 The fort is nestled on the base of a spectacular rock formation belonging to the Belogradchik massif which consist of strangely shaped sandstone and conglomerate rock formation that are thought to resemble shapes of people or objects. 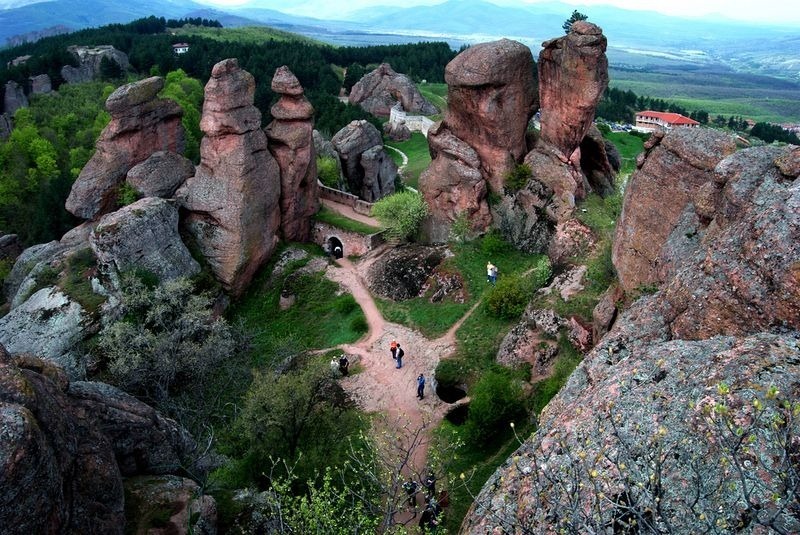 Some of the rocks reach up to 200 meters in height. The ones serving as the backdrop to the fort are 70 meters tall. 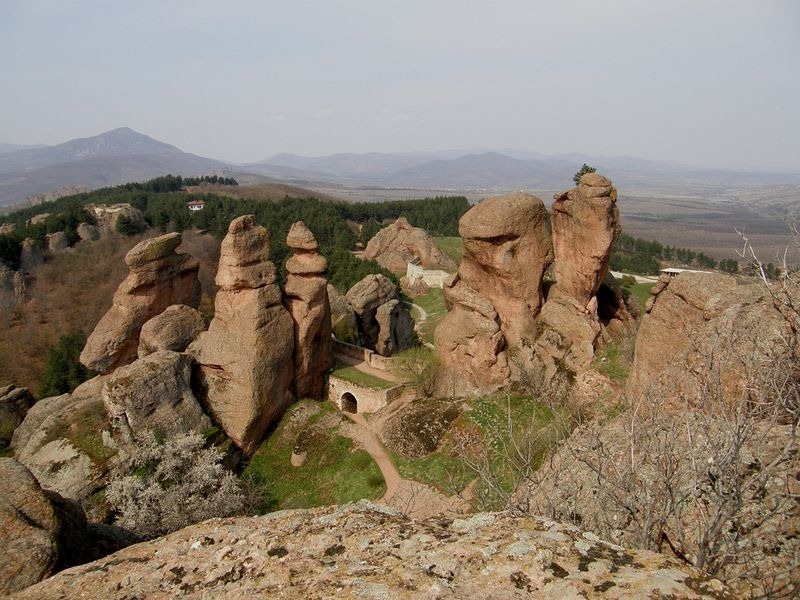 A fort existed here since the Roman times. 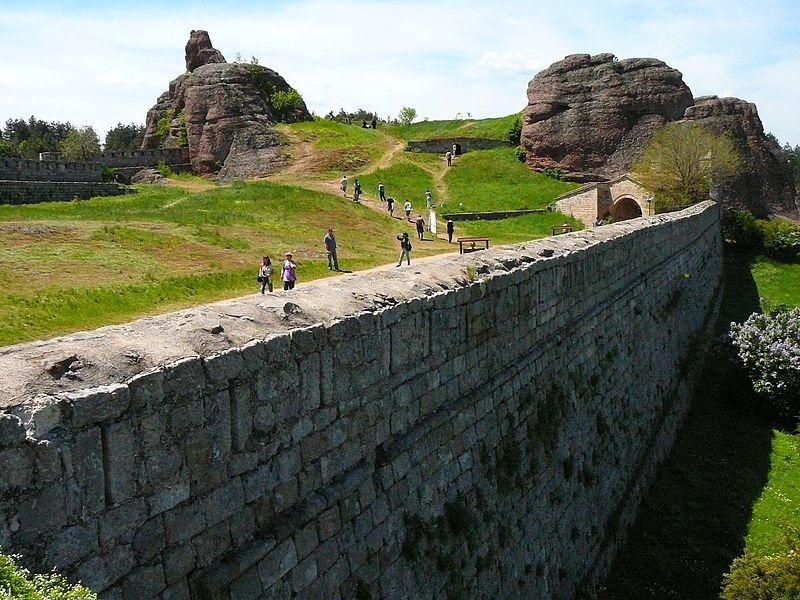 In the 1st to the 3rd century AD, the Romans built roads across the new provinces of the empire on the Balkan peninsula, as well as some fortresses to guard them. 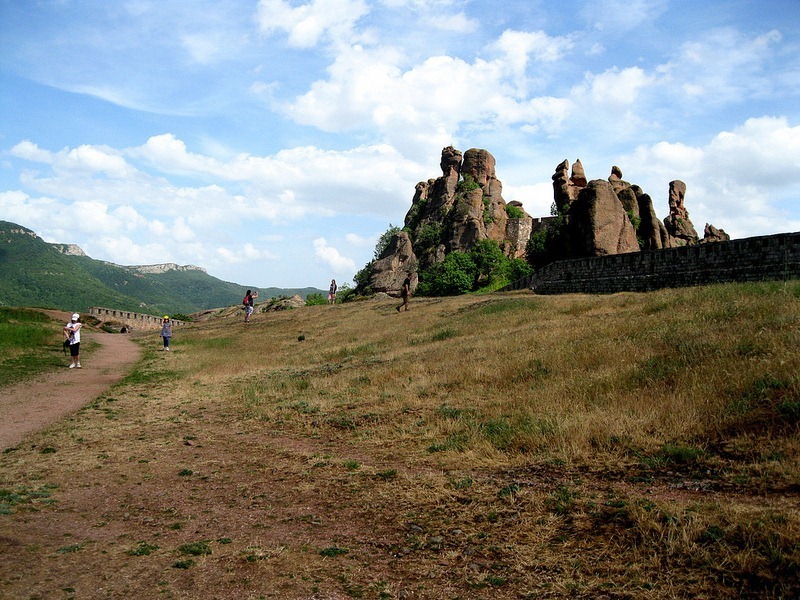 The mission of Belogradchik Fortress was to control the road. 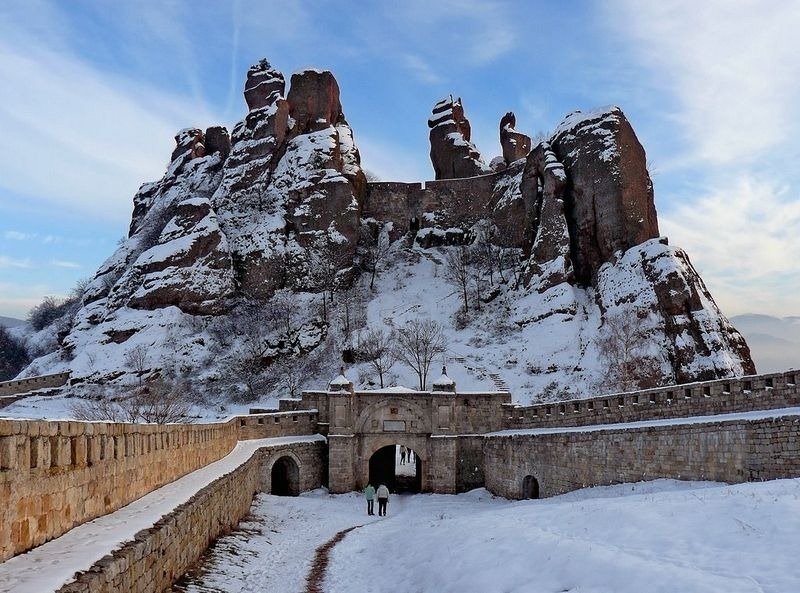 They built the highest part of the fortress, known as the Citadel, using the rocks as natural protection. 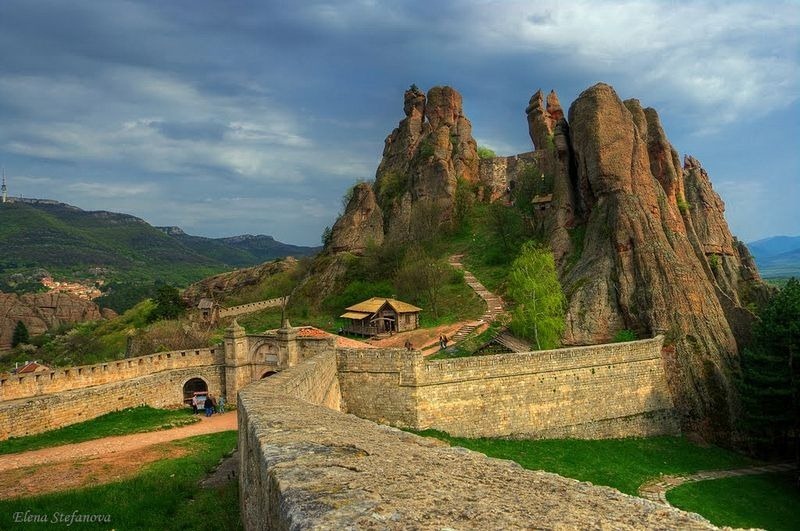 Fortified walls were built only on the northwest and southeast sides, with the rest of the sides around the yard being surrounded by rocks.